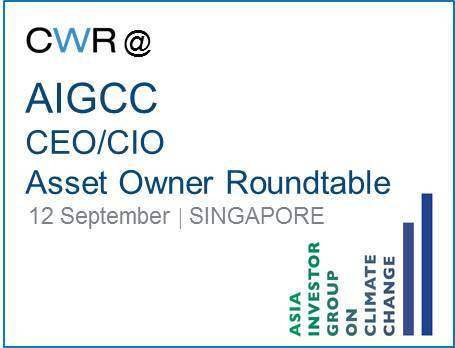 The Asia Investor Group on Climate Change (AIGCC) is hosting another Asset Owner Roundtable on 12th September 2018. This event follows on from last years Roundtable, attended by an unprecedented group of investors representing US$3.5trn in assets and the former US Vice President Al Gore. CWR will be presenting at this event on the material impacts that water and climate related risks can have on the investment portfolios of Asian pension funds.